The game's storyline revolves around an onslaught of renegade hordes of alien drone swarms controlled by a mysterious unknown force that practically destroys our planet. In our fight to survive the devastation, mankind has found a way to gain control of the attacking alien technology and incorporates the drone swarm into their own ships to thwart future attacks as the survivors set out to look for a new home and rebuild the planet we've lost and, with it, the future of humanity. The gameplay involves the user controlling thousands of drones to fight, explore and invest in research to get more powerful abilities as the player achieves different levels within the game. 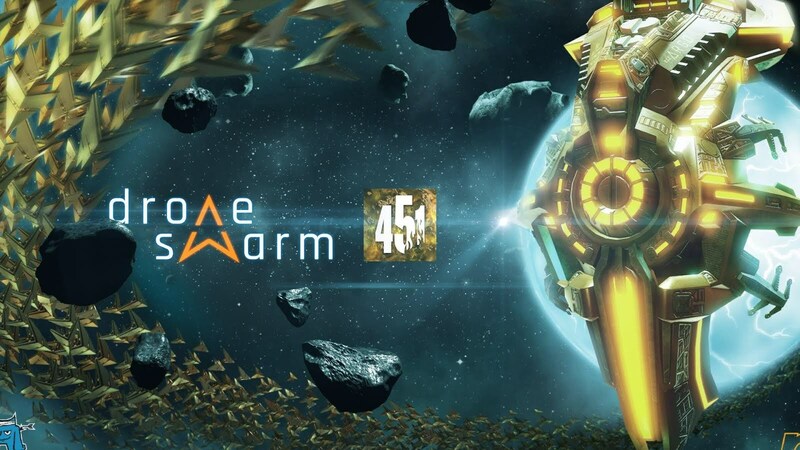 Today, experienced game developer stillalive studios and remote control productions GmbH (RCP), Europe's leading game production house, announced that they are partnering with Michael Bay's 451 Media Group to collectively develop the forthcoming sci-fi strategy game DRONE SWARM as original graphic novel and TV content targeted as a long form series for broadcast and streaming services. "We are super excited to partner with the 451 team as we were looking for exactly their kind of passion and great talent to collaboratively expand the universe of DRONE SWARM beyond the videogame," said Julian Mautner, Founder and CEO of stillalive studios. "When David Lee, Head of New Business over at 451, introduced us to the 451 team we knew DRONE SWARM had found the perfect home with 451's partners. The level of expertise they bring to the project from the printed page to the big screen will take the DRONE SWARM property to the next level," said Stefan Kreutzer, BD Manager of remote control productions GmbH. "This is an incredible opportunity that allows RCP and 451 to creatively join forces during a key phase of the game's early development that will allow us to expand and deepen the game's storyline as a standalone long form series," said Doug Nunes, CEO of 451. "Working with the level of premium writers and artists that 451 is known for together with RCP and stillalive's team of top notch developers gives us an extraordinary opportunity to leverage their incredible skillset, visuals and gameplay and dovetail it into a dramatic sci-fi adventure series that will re-define the genre." The game's storyline revolves around an onslaught of renegade hordes of alien drone swarms controlled by a mysterious unknown force that practically destroys our planet. In our fight to survive the devastation, mankind has found a way to gain control of the attacking alien technology and incorporates the drone swarm into their own ships to thwart future attacks as the survivors set out to look for a new home and rebuild the planet we've lost and, with it, the future of humanity. The gameplay involves the user controlling thousands of drones to fight, explore and invest in research to get more powerful abilities as the player achieves different levels within the game. 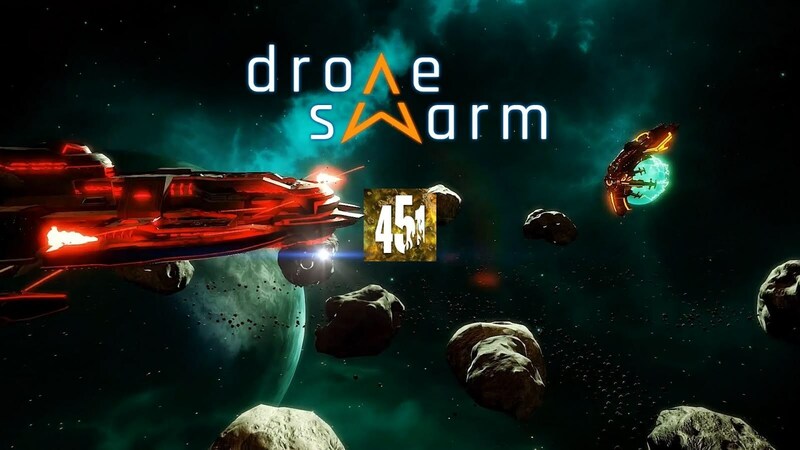 DRONE SWARM is a coup of the highest order for 451 that has grown from a comic publisher of high-end original IP to a VR producer for leading brands like Samsung and Nokia, to a fully vertical tech incubator and investor in emerging mixed reality companies such as Holor and Ion360. remote control productions (rcp) is an independent production house representing Europe's biggest family of game developers with 14 studios across 4 countries, a gamification unit and an in-house publisher. Since 2005 the Munich-based company together with its teams has shipped more than 100 games for all major platforms including Angry Birds Evolution, Angry Birds Epic, Sacred Legends, Ostwind (Windstorm), John Woo's Bloodstroke, Knights of Valour or Pet Hotel. stillalive studios is an Innsbruck-based game developer and creator of the critically acclaimed and early VR compatible adventure game SON OF NOR. Founded in 2010 their experienced and enthusiastic team focuses on combining entertaining gameplay with technological challenges having a strong tech focus and experience with Unity, Unreal, Steam, VR, Eyetracking, BCI and much more. Their latest release was Astragon's hit game Bus Simulator. For more information, visit stillalive-studios.com. 451 Media Group is a technology-focused intellectual property (IP) development & entertainment company. Working with cutting edge technology and highly accomplished talent, 451 is a multi-tiered platform content creator that combines publishing, entertainment, media and technology together with the industry's leading writers, artists and tech visionaries to captivate and engage readers in a unique digital experience. 451 Media Group was co-founded by Michael Bay, Anthony Gentile, John Gentile and Douglas Nunes. For more information, visit 4five1.com.